A great new collection of mountaineering tales from AMC's long-running journal, "Appalachia." 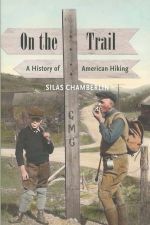 A great new first-of-its-kind look at the history of hiking and trail clubs in the United States..
A memorable anthology of nineteen excerpts from the great classics of mountaineering literature. A superb anthology of often harrowing hiking tales from the trails and summits of the Northeast's most popular mountains. The essential topographic map to Rocky Mountain National Park from National Geographic. A great all-around guide to the best rock, alpine, and ice routes in the Northeastern USA. Follow authors Jon Kedrowski and Chris Tomer as they bivouac on all of Colorado's famed 14,000-foot summits. A gripping and poignant look back at the band of climbers who reinvented mountaineering in the years following the frist successful ascent of Mount Everest. Excellent new guide to the high peaks of the Colorado Rockies featuring stunning color photos by Todd Caudle, route descriptions and color maps, and accurate directions to trailheads. The compelling story of author John Harlin's quest to climb the Eiger; the same mountain that claimed the life of his father decades earlier. New Hampshie author Mark Synnott's acclaimed new book celebrating the history and allure of rock climbing, along with Alex Honnold's momentous 2017 free climb of El Capitan. Now available in paperback! The biography of one of America's great mountaineering legends, Bradford Washburn. The New York Times' bestseller chronicling the efforts of Greg Mortenson to build new schools in the forbidding terrain that gave birth to the Taliban. A compilation of three early works by famed North American mountaineer and photographer Bradford Washburn. Inlcudes author's regional favorite, Bradford on Mt. Washington. 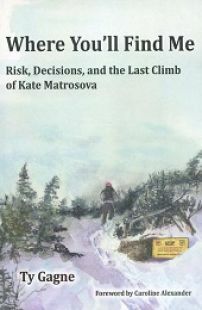 A riveting new book recounting the February 2015 fatal hike of avid mountaineer Kate Matrosova atop New Hampshire's unforgiving Presidential Range. A great new book by renowned mountaineer Ed Viesturs, who writes about the obsession, commitment and quest to climb Annapurna--the world's deadliest mountain.